With iOS 5, Apple introduced iTunes Match, iCloud, and all sorts of network enabled features, and yet they left podcasting behind. Syncing with iTunes on a computer is the only way to automatically download new podcasts. If you’re not familiar with podcasts, do this now: Launch iTunes, go to the iTunes Store, and click Podcasts at the top. Take a look around – there’s a stunning amount of great material there, both audio and video. When you subscribe to a podcast, what that means is you want each new episode to appear on your device once it’s released so you can listen to it. Having to remember to connect to a computer to get new episodes is a real bummer. Enter iCatcher. 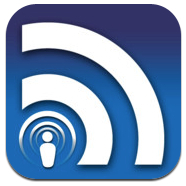 iCatcher is a podcast downloader, manager, and player. 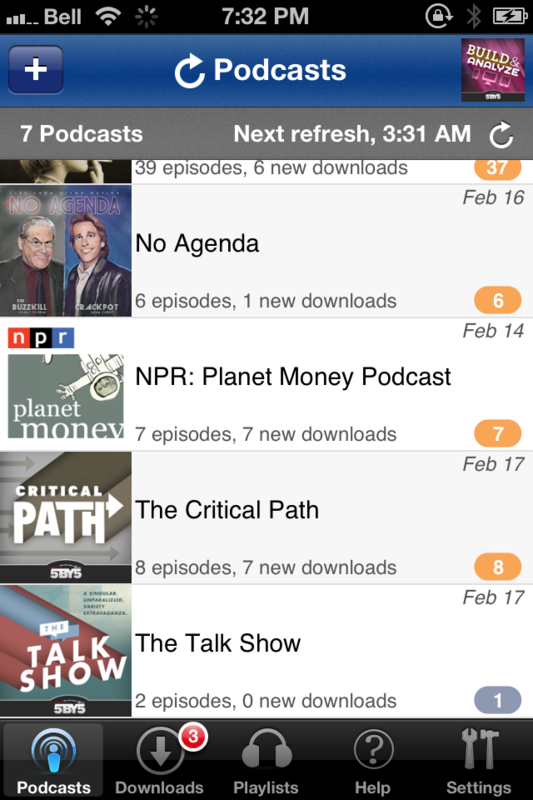 Add your podcasts to it, and when you launch it, it will automatically check for and download new episodes. I wish it could do this beforehand – have the episodes downloaded so they’re ready to play when I launch it – but currently Apple makes that impossible. iCatcher is as good as it can get. I hope that when Apple does introduce background podcast downloading into iOS they do it in a way that lets iCatcher integrate, because iCatcher has some additional features like viewing the show notes and automatically building playlists that Apple probably won’t implement and I’d hate to have to decide between automatic downloads and iCatcher’s features. But for now, iCatcher is the best way to get podcasts.